Oritsefemi Majemite Ekele is well known to fans by his stage name ‘Oritse Femi’. He is a popular Nigerian musician who performs on stage and composes songs. tHe became very popular after he released his song "Double Wahala", which is a remake of the legendary Fela Kuti’s work; this beautiful song also earned him 2 nominations at City People Entertainment Awards, and won him the most popular song of the year and the best Indigenous Artist awards for 2014. In the same year, he collaborated with D'banj to release the remix of the song. If you are not indifferent to this artist, then you will find these top facts from his biography very interesting. His homeland is Lagos, but the star hails from Delta State. Oritse Femi was born on January 1, 1985 into a polygamous family with 7 wives and 30 children. He is the 3rd child of his mother. His father was an engineer and really wanted his sons to follow in his footsteps. His mother was a church worker and also wanted Oritse to support her; he however did not fulfill the wish of any of his parents by going into music. Oritse Femi’s musical talents started to manifest when he was only 9 years old, he began to develop his skill by singing at his Primary School. The artist received inspiration on the street and communicated with poor people a lot, so he knows their problems very well; this has contributed greatly to the emotions he needs for composing songs. Life was not always easy for him, but he overcame all the tests and achieved significant career growth. He was quite poor growing up and lived in bad conditions, so when he got his first car, a Mercedes-Benz 190, in 2004, it was like the best day in his life. The young man was going to study law at the University of Delta State, but he had to choose between studying and a musical career; it seems he made the best decision by choosing the latter. Music literally called him and he could not resist his creative desire. Initially, music seemed like simply a form of entertainment to him; he did not even imagine that he would achieve the position that he has now. The popular musician is ever grateful to God for bringing him this far and helping him work with Shining Entertainment. Oritse Femi has become a completely different person. In the past, he had interesting ideas and composed good music, but nobody needed it, and no one helped with making his work popular. But now, he can be proud to call himself one of the most popular artists in Nigeria. Everything started with his participation in modest music clubs and shows organized in schools. Oritse Femi performed at parties and won the heart of many; the people around him recognized his talent and advised him to take music seriously. They made him see that constant practice and persistence could bring his skill to perfection. As we see today, this turned out true. Femi's attitude to music has become more serious and enthusiastic. He got a good chance when Ragga Dub school was founded in Ajegunle. This allowed many modern celebrities to achieve a real breakthrough in their careers. Oritse Femi was one of them. He began to compose unusual music, working in his own unique direction - Reality or Conscience Music, as he calls it. The musician appealed to the feelings of people, awakened the brightest and most positive emotions in their souls, used interesting elements of different styles and focused on various ways of doing music. He managed to not just compose good music, but also touch on social issues. Oritse Femi was a member of a band called Jingolist which released 2 albums: "Boys Dibinu" and "Money Na Time", each of which had 8 songs. It was a collaboration with Chibudo. But this project ended when the group split; the cause of their breakup is still not clear. There was news that a disagreement ensued between the band members, but the details were never disclosed to the public. The participants tried to start their own solo careers, but only Oritse Femi managed to do it successfully. His colleague Chibudo was not so lucky; as a result, he harboured resentments and repeatedly made negative comments about Oritse Femi. The solo activity of the artist really picked up after the release of his "Elewon" album; in his songs, he drew attention to political problems and the need to solve them. This album was released during the 2007-2008 elections and became very popular at the time. The 2nd solo album he released was called "Unfadeables". The musician spoke about impiety which has rapidly captured our world. One of hit tracks of that time was called "Mercy of the Lord", he also released a video clip and a remix of the song later. His "Unfadeables" album had 14 tracks.  The musician collaborated with several musicians like Nico Gravity, B Kleen, Pasuma Wonder, 2fake, and some other celebrities who have many fans in Nigeria. In this album, he thanked his fans for their unending support and love for his music. The name of the album "Unfadeables" was also very symbolic; Oritse Femi wanted to emphasize that he rose above the tough situations he faced when no one knew about him, and point out how all those people who didn't believe in him in the past, now see his success. In 2013, after a short break, the artist returned to the stage with a new and improved sound style and went on to showcase unique and high-quality compositions; thanks to his hard work, he became famous and successful. It was after his return he released his hit single "Double Wahala". This work literally blew up the internet and the radio stations; and the song soon became really loved by many musicians in Nigeria. Between 2013 - 2014, he put up many stage performances that were continuously loved and applauded by his audience; his stage performances alone brought him a profit of N60m. The musician received 4 prizes in 2014 Entertainment Awards. The net worth of Oritse Femi at the time rose up to $700 thousand. Oriste Femi’s life as a celebrity has not been totally free of trouble; in 2014, grief knocked on the doors of this musician when he lost his father. He was 62 years old. As for his private life, in 2014 journalists learned about his romantic relationship with Ella Mensah, the famous Ghanaian actress. She went on to confirm the story to the media. Speaking of rumors, in 2014 his account on Instagram was hacked and the public got access to screenshots of the musician's private chats which caused quite a stir. But im general, it is difficult to call Oritse Femi a scandalous person; he is a pious Christian who constantly thanks God for his career movement. This is also obvious in his song “Mercy of the Lord”. The musician is generally inspired by his personal life experiences and claims that his mother's prayers help him out of difficult situations. He also has great faith that with God's help, one can achieve anything. He is a hip-hop musician who preaches the laws of the gospel. Now, Oritse Femi lives at Ikeja and life keeps getting better and more interesting for him every day. His story teaches us that the main thing you need to succeed is to believe in your dreams. It is not always easy, but the joy of tomorrow will be worth it. We hope that the biography of Oritse Femi was interesting to you. Be sure to check out all his albums and wonderful music. Let’s wish this artist happiness and success all the way.